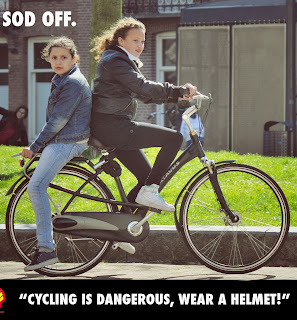 The Bike Helmet Blog: Are Helmet Programs Scaring Kids Away from Bicycling? EXCELLENT!! I really think all this focus on how dangerous cycling is has led to more reasons for PARENTS to leave kids in front of screen instead of the big bad outside. Thanks Mark. So glad you see the seriousness of this issue. Please forward it or post it where it might get more readers. I've been surprised at the low number of readers on this post compared to others. 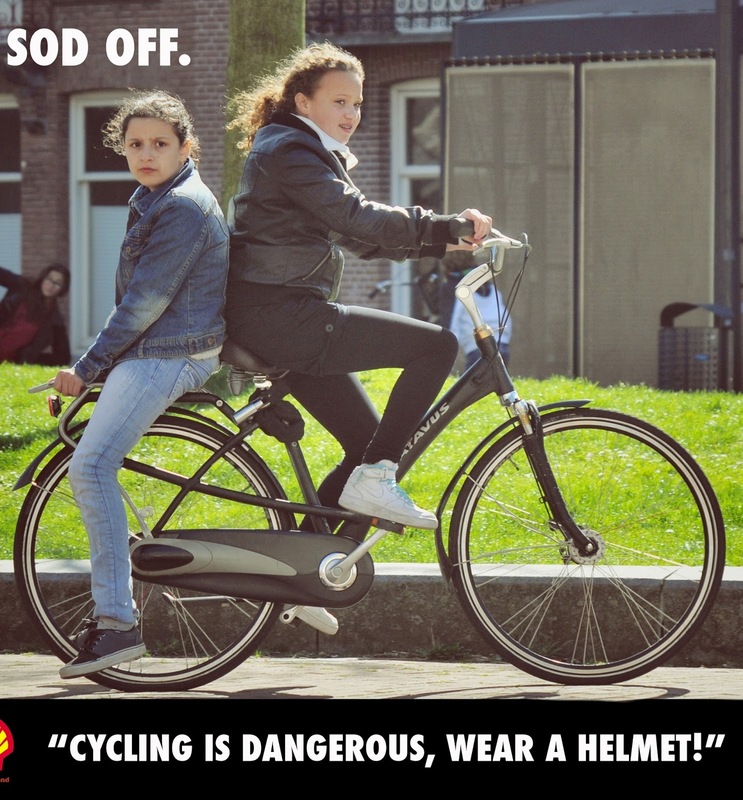 We're scaring away our next generation of cyclists with helmet terror and most people can't yet see it. yes, training/indoctrinating children to keep an eye out/stay out the way of and indeed being told they must wear body armour/special clothing (even though they don't work), those that kill and maim is totally wrong headed thinking. the enforcement of rules for motorists falls ever further and threatening behaviour ignored by the police/local authorities but changing the behaviour of the vulnerable and using emotive videos/photos is easy to do but has done nothing to improve safety but simply put kids off (and indeed adults) from getting about on two wheels and has created an environ where it is acceptable for those presenting the harm to basically do what they like.